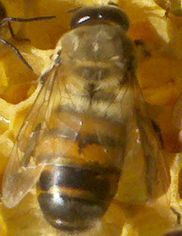 Queen production is considered one of the highest arts of the beekeeper's trade. 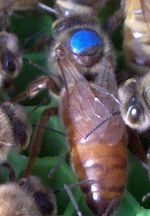 Any beekeeper anywhere can manipulate a colony to produce a queen using the knowledge that honey bees are ready to rear emergency queens at a moments notice. 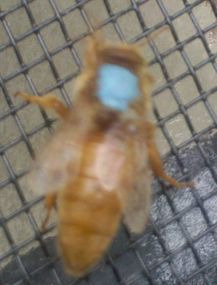 The quality of the queen produced, however, is predicated on a number of variables that a colony often cannot control. The human queen producer, on the other hand, can control conditions, resulting in an optimum queen. Any breed can be gentle or hygenic. The masterful breeders can bring these traits out through proper parent selection. Thus, queen production is rather like wine creation. Anyone can produce a wine, but a fine wine requires a lot of extra effort and knowledge. The same is true for producing quality queens. 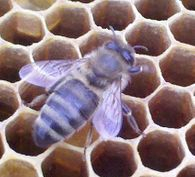 There is a distinction between producing queen honey bees and breeding them using genetic principles. The queen producer is not necessarily a "breeder" although many may give themselves this title. Customers buying queen honey bees do not often understand this. Because they are price conscious it may not register with them that inexpensive queens are simply "produced," and little if any "breeding" has been done in the process. It is up to customer to ask for details concerning how queens being sold are produced / bred. In no other beekeeping area do the words "let the buyer beware" have greater significance. 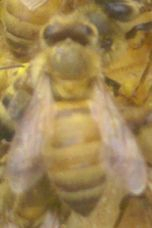 Beekeepers should keep in mind if they make their own queens that a certain percentage of in breeding occurs during each generation. A beekeeper of 250 hives will show significant signs of inbreeding in less than 10 generations. Therefore, it is important to introduce quality queens from trusted breeders on a regular schedule. Douglas Farm has started its own breeding prgram (2009). Please refer to our breeding program page for more details - (Click Here).